Minoo Apr 17 2019 2:15 pm Waiting for your come back! Shams Mar 27 2019 5:25 am Wish you had played Baek In Ho in CITT Drama! That other guy ruined the drama for everyone! Marie Mar 26 2019 9:01 am Just watched Gaksital. Dude's amaaazing! La Canadienne Jan 24 2018 12:05 pm Nice to see you back in drama-land ! I remember you very vividly since your role in "Monster", even when you play the vilain role, you are still amazing. Enjoy more and more drama, you are doing an awesome job. Ara Dec 25 2017 10:40 am Can't believe he is already 32! He has a baby face! He is also has good acting skills.. I am waiting for his lead role in a drama.. Aja kiwoong oppa ??? Charu Jan 02 2017 12:53 am Am I the only one who thinks that his acting is lacking? He is always frowning in Monster. Airah Abiga Dec 11 2016 7:40 am Park Ki woong, you'll always be the best for me.I am looking forward on watching you as a lead actor. Your acting skill is very different and it's really natural in every role you do..saranghaeyo oppa! Surah Abiga Dec 11 2016 7:38 am Park Ki woong, you'll always be the best for me.I am looking forward on watching you as a lead actor. Your acting skill is very different and it's really natural in every role you do..saranghaeyo oppa! ????? tp Jul 12 2016 8:54 pm Such a superb actor!!!! Evelyn Jun 24 2016 2:16 pm Hope you get a lead role soon. You are such a versatile actor. You deserve it. kitten Jun 20 2016 8:48 am when you're 90 years old. i want to see you do this dance in the morning and smile at me. it would be cute as always. Nanami May 26 2016 8:25 pm I have been watching you since My tutor friend 2! I love your acting and hope one day you will be a main lead instead of second lead like in bridal mask and monster!!!! Fighting!!! Danana Apr 29 2016 7:42 pm I usually start dramas when they're halfway done so I don't have to agonize as much. For some reason I thought this was 20 episodes and began to watch it and now I don't know what to do, it's 50 eps and the wait is soon long. Overall I love it, great quality and perfectly follows revenge plot lines. Monster hwaiting!!! roshan ara Feb 09 2016 7:10 am I realy look forward for your future activities. In Feb 01 2016 9:46 am Can't wait for your return.. hope your new project 'Monster' do well!! Hwaiting..
Shay Nov 19 2015 7:20 pm What an amazing actor! Would love to see more of him. I'm surprised he's not more in demand. Can't wait to see you as a lead in a drama. chinaprincess Oct 04 2015 3:16 pm I really wants you to make a come back soon you were great in everything you do, and I miss seen you on screen. nia Sep 08 2015 10:23 am I'm upset that he did not win more, much more awards. He is a FANTASTIC ACTOR, and after watching him play Shunji in Bridal Mask, I really wanted to give him a standing ovation and an Oscar for his acting. Park Kiwoong is sooo talented. He deserves more popularity and more awards, he is too underrated. Djje Aug 21 2015 12:10 pm I thought he was in the army since 2013?? Eh.. In Aug 14 2015 4:53 am Miss you.. hope to see you on BIG screen after you completed your military service..
ParkChohwa Apr 24 2014 9:35 pm Park Ki-Woong!!! I watched him in Night After Night with Kim Sun A 김선아﻿ and Lee DongGun and he was good. But here in A Man's Story he's just too adorable to be true.. oppa fighting!!! michaela-amy Apr 05 2014 4:33 am the first thing i saw park ki woong in was full house take 2, i really enjoyed his fun loving character and lighthearted personality, so then seeing him in bridal mask in such a stark contrast of character was astonishing. Not to mention his skill within the action scenes. it was amazing to see. 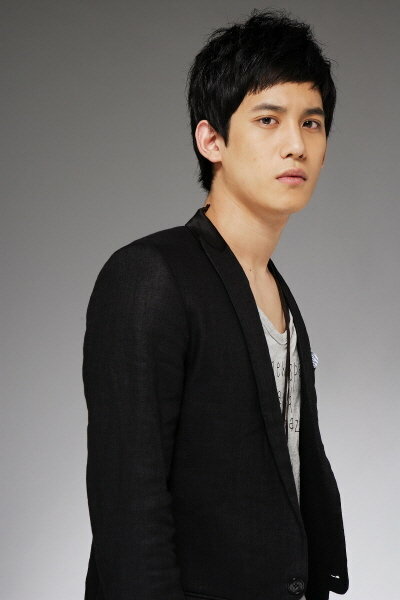 park ki woong ~ shi aja !! i cannot wait to see how your career progresses. you're extremely talented! thank you for all your hard work! Nora Nov 29 2013 11:19 pm He rocked in A Man's Story & Bridal Mask. I never felt bad or empathetic with the bad guy in the story before this oppa playing Shunji. Loooooveee his acting and I guess I even love him too XD And he so freakn earned the best supporting actor award KBS gave him. May his acting career never fades! hanana Oct 27 2011 7:20 pm so adorable, love you PKW ~ Ive enjoyed EVERY one of his performances yet, and im rly enjoying his performance in The Musical too. Carol1646 Jun 04 2011 9:31 am Man, you're so sweet and cute yet so handsome at the same time.. The first time I saw u in tutor friend 2, i still remember how I keep repeating the same sentence to my mom, "mom, he's so handsome, oh my! The middle one, mom, yes thats the one!" I just find out the name of that drama It's called "Castella" and he used to played gas station boy in this project too. kitten Jan 20 2011 12:28 pm I've never liked any korean actor. but I fall for you in Tutor2. I think you're super cute Many years passed I didn't see you in other film ..so I'm searching then I found my little Kyeong-Tae <3 NO DOUBT you're the best cute & Talent of korea (remind me to matsuken or johnny depp) don't care anymore you're famous or not. I just really love your nature cute keep going kiwoong ..I will be your side forever! you're my favorite I've edit this profile page just for you! of course 100% vote for you too. mia Aug 11 2009 4:39 am oops!!!! i mean he's not looks like other korean actors! kathleen Apr 07 2009 3:02 am annyong hashimniga!! wow...junk-man,hehe...you're super cool and you have a nice smile,dude!! saya Dec 14 2008 12:00 pm yeahh!!!! PARK GI WOONG you are damn good in 'sequence' your head all around degree!!!! cool!!!rock!!! n unbelievable!!!! chayook!!chayook!!chayook!! alya Dec 01 2008 2:33 am hello, gi woong park.. I like too watch your movie tittled my tutor friend 2.. you look so..... sweet with junko.. hihi.. and most important.. I like your smile so smile always!! bella Oct 22 2008 2:46 am hiiii..gi woong park.im ur biggest fan..im from indonesia!!! !cant wait too see ur next movie! !